Preserve the character of your heritage home. Renovate any building to make it new again. Ensure your project is done right. Quick and easy coffered ceilings. Our products are now available for purchase online! Get started today. Need Props Or Sets For Your Film? 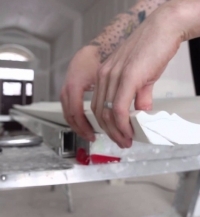 For over 30 years, architects, contractors, interior designers and film companies have looked to Foamcore for their superior architectural mouldings. Find out why! Foamcore has brought the greater Niagara Falls region and Ontario superior quality, durability and project defining mouldings. With custom designers in-house and a huge selection of pre-designed products, you can be sure that you'll find what you need for your project. Submit your email address to receive the latest promotions, news and updates from Foamcore.